If you are looking for a high speed laptop with an affordable price, then one of the options that you may consider is the HP 4540s ProBook which comes at a very affordable price considering the amazing features included with the laptop. 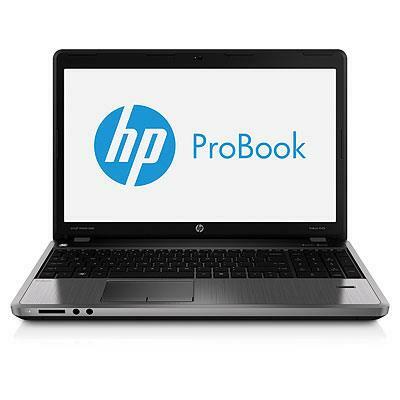 So, read on to know more about the HP 4540s ProBook. The HP 4540 ProBook is a 3rd generation laptop which can give you the high end performance like Ultrabooks. It has a simple and great design which will suit best for your business needs if any. In this article we will see about the technical specifications of the laptop as well as the pros and cons of the same. So, let's get started. This laptop has a 3rd generation Intel i3 processor which is considered as a high speed processor today. It has a clock speed of 2.4 GHz. It also has a cache of 3MB which will definitely increase the speed of your laptop. The laptop is equipped with 4 GB of DDR3 RAM. There is also the capability of increasing the memory if necessary up to 8 GB using the two memory slots available in the laptop. The 500 GB SATA hard disk drive of this laptop will maintain all your data easily. The RPM of the hard disk is 5400. This laptop has got a 15.6 inch high-definition LED Anti-Glare display. It also has got a screen resolution of 1366 X 768 pixel. An Intel HD Graphics 4000 is present in it. It has two USB ports. One is a 2.0 and the other a 3.0 version USB. The other ports include an HDMI port, a VGA port, LAN, a Multicard slot and a Mic In. Bluetooth is already present in the laptop so that you can use it without the need of buying any extra hardware to connect with your Bluetooth devices. The laptop costs only Rs. 33516. You can buy it online from Flipkart. The HP 4540s ProBook has an HD webcam. It also has a battery backup of up to 5 hours. The fingerprint sensor security feature will keep your data safe even if it fall in wrong hands. A very affordable price for such a high end gadget. It has a 1 year accidental damage protection warranty (ADP). The laptop doesn't come with pre-installed Windows. So, you have to buy the Windows CD and manually install it. The fan is a bit more noisy which can be annoying when working in quite situations. To conclude, the HP 4540s ProBook is a great buy if you are planning to buy a budget laptop having great features and configuration. The only drawback I see about this laptop is that it comes with FreeDos and Windows is not pre-installed. The configuration is pretty good but high end graphical games doesn't seem to run smooth with high resolution settings in the game. However, you can play it smoothly by setting the game to a lower resolution. So, as far as the price is concerned this purchase will not let you down.